To optimise results, always make sure your skin is in its best possible shape before you start your galvanic electrolysis treatment. Your skin will respond best when it is healthy. At your initial consultation, we will discuss any factors in your medical history which might affect your ability to respond optimally to electrolysis. We will take these factors into consideration in designing your treatment plan. The following information is written to provide some insight into what you can expect following treatment, but every person’s skin is different and it’s impossible to predict exactly how each individual’s skin will react to electrolysis. At PEACH CLINICS, we keep an eye on how your skin reacts during each treatment and adjust the time and intensity of electrolysis appropriately. In the days prior to treatment, ensure sun exposure is kept to a minimum. You cannot have electrolysis if you are sunburnt. Do not use any products containing retinoids for at least 2 weeks prior to electrolysis as they make your skin fragile and sensitive. Similarly, do not use teatree oil, skin peels or products containing salicylic acid or any other BHA (beta-hydroxy acid) for this period as you skin will still be healing when you arrive for your electrolysis treatment. Also, use caution when using any type of AHA (alpha-hydroxy acid) for 48 hours prior to treatment. AHAs include glycolic acid, lactic acid and citric acid. All these products interfere with the healing process as they are aimed at aggravating your skin to get a reaction (grow new skin), not healing it. 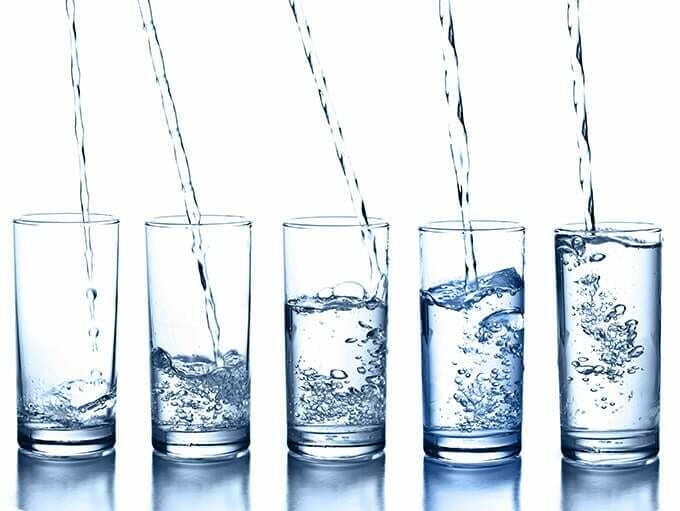 Drink plenty of water the day before; the day of; and the day after your treatment as dehydrated follicles are more difficult to treat causing the follicle to contract and hold less moisture for the electrolytic process to work with. Hydration will also help your skin heal more quickly. Exfoliate and moisturise the area you are having treated the day before your treatment as, again, electrolysis works best when your skin is hydrated. Your sensitivity to any discomfort associated with electrolysis is dependent on a number of factors so if you are usually at your best at one particular time of the day, then book your appointment at that time. Try to eliminate as much stress as possible on the day of your treatment. Avoid stimulants like caffeine, chocolate or sugary drinks on the day of your treatment as they will make it more difficult to put yourself in a relaxed state of mind. If you know your skin is sensitive, consider taking an anti-histamine medication on the day of your treatment as the swelling and redness which will occur after treatment is a reaction to the production of histamine in your body. Consider taking a non-prescription pain reliever 30 minutes prior to your appointment as this may make treatment more comfortable. Also consider applying topical anaesthetic creams that are available with or without a prescription to the area to be treated. They should be applied an hour before treatment and should NOT be applied to a large area. Do not wear makeup if your face is being treated or wear deodorant if your underarms are being treated as they will need to be thoroughly removed and this may affect the time available for your treatment. Most importantly, do not wax, thread or pluck your hair before or between treatments as hair needs to be visible in order to be treated with galvanic electrolysis. If you need to make your hair less visible between treatments, we suggest that you shave, cut or bleach the hair. Avoid waxing, threading or depilatory creams as these terminate the hair below the skin and make the time for it to reappear unpredictable. Skin sensitivity varies from person to person as does the skin’s rate of healing. The more intense or long a treatment session, the more your body is likely to react in response to electrolysis. If you are having a lot of electrolysis in a small area or in a very tender area, such as the upper lip, your skin’s reaction might be more noticeable. However your skin reacts, we encourage you to be patient with the healing process. If any of the reactions discussed below persist or become severe, you should seek advice from your doctor. Your therapist will discuss potential side-effects and skin reactions with you during your consultation. You should follow the directions contained in the after-care instruction card provided to you by PEACH CLINICS. Always report any skin reaction to the treatment to your therapist on your next visit, or feel free to call or email us at anytime with your questions or concerns. It is likely that your skin will be red and slightly swollen after treatment, but this varies from individual to individual. Swelling disappears within a few hours and redness will fade within 12 hours or less. A number of your treated follicles may stay red for a couple of days. This is normal and the red follicles can be concealed under makeup the next day if necessary. Your skin may itch as the healing process takes place and the treated skin may feel warm for up to 48 hours. Do not worry about this as it is just your body’s way of healing by rushing blood to the treated area so your skin can repair itself. An electrode pad placed on your arm, leg or abdomen is used in electrolysis to complete the circuit and return the current used by the probes back to the electrolysis machine. Sometimes you may get itchiness or redness at the electrode site. This reaction is always monitored closely by your therapist but you should tell your therapist immediately if you are experiencing any reaction and the electrode pad can be moved to another area. The chance of bleeding is rare, but can also result in a small bruise should it occur. Bruising can also occur simply from the uneven pressure your skin is subject to during electrolysis. Your therapist treats each hair by inserting a small probe into the hair follicle. With a skilful insertion, the probe will not pierce the skin. An unusually shallow follicle or a follicle at an unexpected angle can be the cause of these rare instances of bleeding. Also, capillaries unusually close to the follicle can trigger bleeding. Occasionally, small whiteheads or tiny scabs will appear over treated follicles. These scabs are a part of the normal healing process. They seal the follicle against infection and provide a structure to allow the skin to repair itself smoothly. They will not cause any damage if they are not picked off. However, the skin will only heal smoothly while the scab remains on the skin. It will fall off once the skin is fully healed. If it is removed prematurely, it may leave a scar. If proper aftercare is followed, you should not have any scarring. Some skin types such as people with olive or darker coloured skin, are more prone to have temporary marks on the skin. Those with higher moisture content in their skin are more prone to develop scabbing. Individuals with oily skin have a higher chance of acne breaking out, and if they pick at their skin, it can lead to scarring. None of this is likely to happen if you follow the aftercare instructions and keep the area clean as your therapist will carefully instruct you. After galvanic electrolysis, the lining of the hair follicle is somewhat exposed for up to 24 hours after treatment. Infection can occur if the treated area is not kept clean. Please follow our instructions on hygienic application of makeup to minimise the risk of infection. A pleasant, but little-known effect of galvanic electrolysis, is that it stimulates the production of collagen in the treated follicle. Collagen is the protein that gives our skin its strength and elasticity. Studies have shown significant improvement in the appearance of wrinkles and scars following microneedling due to collagen and elastic fibre production helping the skin become more “filled out”. The same reaction occurs after galvanic electrolysis. You will be left with smoother skin as a result. Your skin is your body’s largest organ and should be treated with respect. Surprisingly, doing nothing at all to your skin after treatment is usually the best aftercare! First and foremost, keep your skin clean and don’t irritate it. Following these two simple rules will greatly assist your skin’s ability to heal. The simplest and most effective way of reducing redness and swelling is the immediate application of a cold pack on the treated area. At PEACH CLINICS we provide you with custom cold packs and other cooling methods to sooth the redness and help blood vessels to contract. Stay a while after your treatment and take advantage of our relaxation pod before venturing out. Witch Hazel and Aloe Vera gel should be applied immediately after electrolysis to soothe the skin, calm redness and prevent infection. Continue applying Aloe Vera gel for as long as you feel necessary. Both these products are used at PEACH CLINICS and are available to purchase. Consider applying a topical antihistamine cream during or immediately after treatment as this also helps reduce inflammation. Itching generally means that the skin is healing, but please resist the urge to scratch as this can introduce bacteria transferred from fingers and loosen the protective scabs. Do not rub hard over treated skin, rather, pat it dry after you cleanse it. Keeping the area moisturised will often curtail the formation of scabs. Do not use any oils or butters (cocoa or shea) as they will cause the scabs to lift prematurely before healing. If bruising occurs, a cold compress will help minimise it. Arnica cream can also help. Bacteria is easily transferred from fingers and makeup to the treated area causing infection or a breakout of white heads and or pimples, so be careful to apply makeup hygienically. Use a gentle skin cleanser which does not remove the protective oil layer on your skin. Do not use soap or wear makeup over the treated area for 24 hours. Even washing with soap can cause irritation and possible infection. Avoid perfume or alcohol-based products as they dry out your skin. You can cleanse your skin with witch hazel. Consider applying an antibacterial cream to the treated area the night after your treatment. This will help your skin heal even faster. Take extra care of your skin within the first 48 hours of treatment. This gives your skin a chance to settle, allow the heat reaction in the skin to return to normal and prevent infection of the treated follicles. Stick to a gentle skincare regimen to keep skin free of dirt and bacteria without impeding the healing process. If your skin is still irritated on the second day, consider applying a hydrocortisone cream. Do not swim in a chlorinated pool for the first 48 hours. After the redness disappears and the skin has healed, exfoliate and moisturise the area. Stay out of direct sunlight for at least 48 hours to avoid the formation of brown pigment spots. A modified skincare regimen, the simpler and gentler the better, will keep your skin free of dirt and bacteria without impeding the healing process. Let your skin breathe! PEACH CLINICS recommends following this skincare regimen in accordance with the electrolysis treatment plan provided by your therapist for the best results.